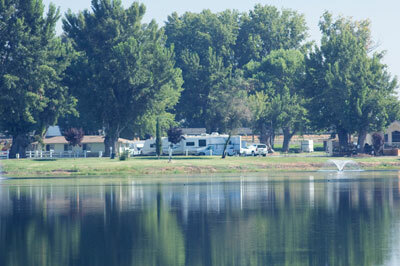 Riverland has 48 full hook up sites. Our full hook up sites consist of water, electric, and sewer. In this section we offer sites on grass or gravel with 50 or 30 amp service. We have free internet for our guests. In our water and electric section, we offer 35 sites, all on grass with a 30 amp service. 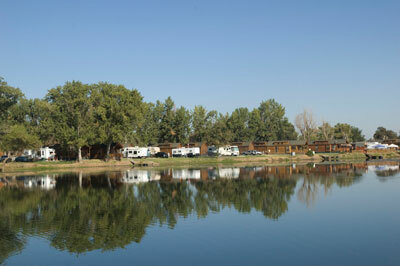 On our private fishing lake, we offer 25 sites, all with 50 amp service. There are grass and paved sites available in this section. 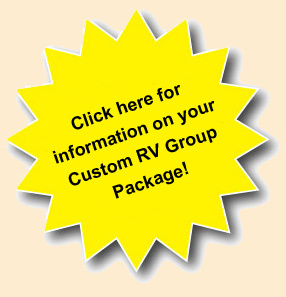 On the riverfront, we offer only 6 sites available for RV's, all paved and with 50 amp service. These sites do go fast. We recommend making reservations for these sites, especially during summer months. 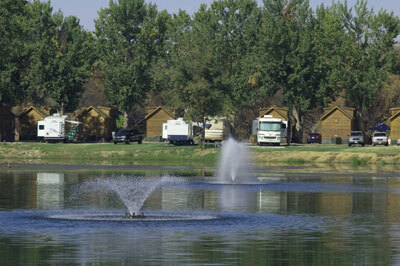 To rent on either our lake or river front, your unit must be 10 years old or newer. If the unit is older, it must be approved by management. You can e-mail us a picture of the unit to request approval. Laundry facility available for all sections of the resort. Price includes 4 people and 1 boat launch. For each additional overnight guest, there will be a $3.50 per day charge. For visiting guests, there is a $7.00 per day charge. For each additional launch, there will be a $10.00 charge. There's no charge for children under 2 years of age. Riverland is a pet friendly resort. There is a small fee of $2.00 per day, per pet. please clean up after your pet and keep them on a leash at all times. We do not allow pit bulls. To make reservations please fill out the reservation form or call 559-897-5166.